This week we look at the top shortstop prospects with insight on the names who could help you this year. 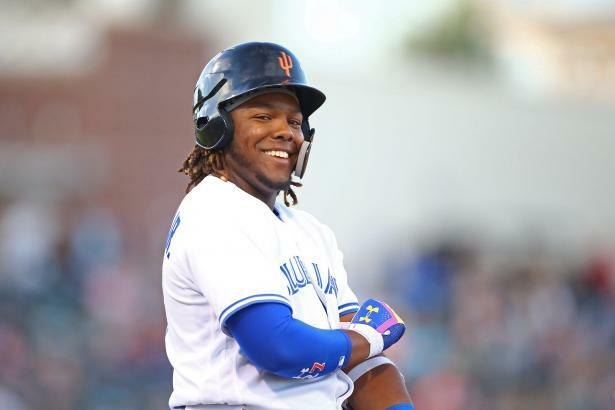 This week we kick off our annual review of the top prospects in baseball by position. Between now and Opening Day, we'll examine one position a week by looking at both those rookies ready to contribute in the big leagues now, as well as the top 15 long-term prospects at each position. We wrap up HQ100 Roundtable Week discussing how our team ranks prospect catchers like Francisco Mejia, what we might do differently if we had a do-over, and a sad farewell. White Sox RHP Michael Kopech is likely to be knocking on the door of the majors in 2018. Is he worth the risk? In Part Three of our HQ100 Roundtable, we talk potential rebounds, including Pirates OF Austin Meadows. In Part Two of our HQ100 Roundtable, we talk surprises—including some disagreement on Francisco Mejia (C, CLE). Our weeklong behind-the-rankings look at the HQ100 begins, and Yankees outfielder Estevan Florial plays a leading role. Hear from all eight of our HQ100 rankers as they discuss the definitive fantasy baseball prospect list. The 2018 HQ100 — the fantasy baseball prospect list — is here. OF Lewis Brinson sits atop MIL's prospect list deep in multi-talented OFers and some sneaky starting pitchers. The Brewers wrap us our Organization Report series for 2018.